For the Record has moved from its eastside digs to Hollywood. The shows now take place at DBA. On Thursdays, catch Tarantino and Baz on Friday, Saturday and Sunday evenings. Although I have gone multiple times for both Tarantino and Baz, I was excited to see the latest incarnation of Baz at DBA. Not only is the theatre much larger, it’s a beautiful set up and reminds me of the early days of FTR. Performers can pop up just about anywhere including the ledge near the DJ above the bar. Baz features all my favorites like Moulin Rouge and Romeo + Juliet. The addition of the Great Gatsby songs make it even better. DBA is working on food for the theatre but in the meantime, there are themed drinks. To get you in the mood for the scenes from Moulin Rouge, try the Red Windmill. 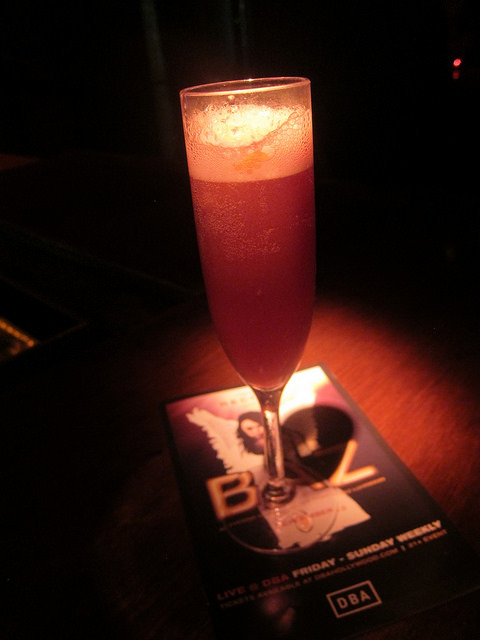 The daring combination of champagne, absinthe and a blackberry/raspberry liqueur will put a bit of pep in your step. What’s neat about going over and over again is it’s like a different show every time. The songs may be familiar but this version of Baz is almost like a new show. The “story” now blends all four movies together instead of just doing a few songs consecutively from each movie. 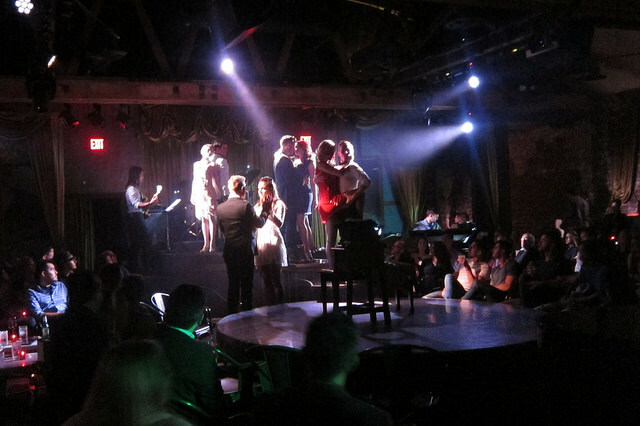 The result is this madcap, fast-paced musical ride. This isn’t like traditional theatre where you may nod off for a second and not miss much. You don’t want to miss anything. 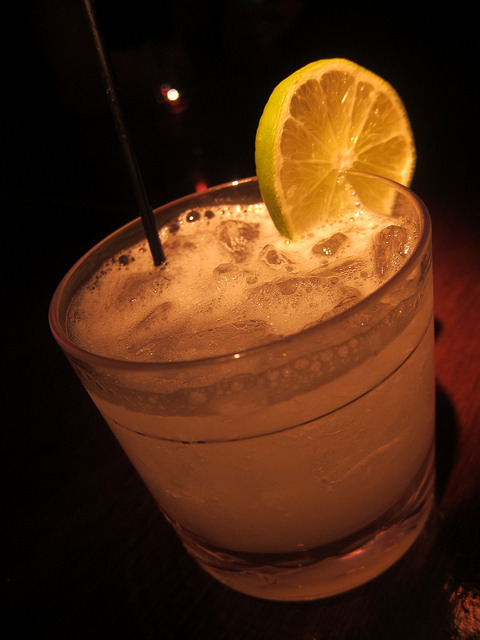 I also liked Talk Show Host, a refreshing tequila and mezcal drink that gave you a double dose of agave love. Think of it as a cousin to a spicy margarita. Now I’ll have to make it back over to DBA for Tarantino which includes music from some of the director’s latest films including Django Unchained and Inglourious Basterds.